Nobel Spirits – Live Authentic. Drink Nobel. Noble Spirits is an Australian based company that imports and distributes fine authentic spirits and wine in Australia. The company was established in late 2013 in recognition of the growing aspiration of Australian consumers to appreciate more genuine and higher quality alcoholic beverages. Nobel Spirits is a young and innovative company positioned at the high end of alcohol brands. 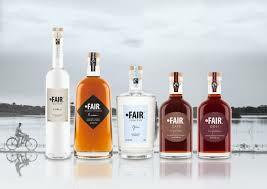 They are the proud partner of great authentic producers such as FAIR. Spirits, KOVAL, Distillery Botanica, SASSY and we are continuously on the hunt to expand our portfolio with like-minded brands.